On Friday evening Ambassador Schoen of Germany reveals the declaration of Kriegsgefahrzustand and his country’s ultimatum to Russia. He inquires as to France’s intentions in the event of war between Germany and Russia. Viviani is evasive, promising an answer after the expiry of Germany’s ultimatum. Meanwhile, socialist leader Jean Jaurès returns to Paris from an anti-war congress in Belgium, where he had locked arms with Hugo Haase of the German SPD and affirmed opposition to war. While having dinner in Montmartre he is murdered by an ultra-nationalist fanatic, Raoul Villain. The cabinet is in session when the news arrives. Jaurès had long argued for a general strike by socialists to prevent war. With his murder, there is fear of leftist insurrection. Some suggest that the time has come for a mass round-up of leftist agitators and leaders, but Viviani baulks at this. He is a former socialist and personally acquainted with many of the people who would be hauled in; he blocks mass arrests in the interests of calming tensions within France. The international situation is clearly tense, with many seeing war as more or less inevitable, but Viviani also blocks mobilisation, for now. Nevertheless, Joffre orders army commanders to prepare for war. French leaders are initially non-committal in response to British queries on Belgium, but late on Friday they respond unambiguously. Viviani confirms that France will respect Belgium’s neutrality and will not violate its territory unless another power does so first. The German leadership is becoming increasingly frantic as news of Russian military preparations keeps coming in. At 11.40 a telegram from Pourtalès in St. Petersburg is decoded. He makes clear that the Russians have commenced general mobilisation, starting today. The clock is now ticking. Germany’s war plan assumes that it will find itself at war with both France and Russia. The plan assumes that Russia will take several weeks to mobilise and so envisages that Germany first deploy its forces in the west to swiftly defeat France before turning east against Russia. But with Russia having commenced mobilisation, the window of time in which to defeat France is growing shorter with each passing day. Bethmann Hollweg now accepts that Germany cannot stand still. He agrees with Moltke at last that the time for talking is over and that it is time to declare Kriegsgefahrzustand: Imminent Danger of War, a time of heightened military preparedness to be followed automatically by mobilisation and then war. The Kaiser agrees, coming into Berlin from Potsdam to sign the order at 3.00 pm. Bethmann Hollweg tells his ambassadors to let their hosts know what Germany is doing. Furthermore, he issues Russia an ultimatum: it has until noon tomorrow to start demobilising, failing which Germany will itself commence mobilisation. Foreign Secretary Edward Grey is coming under pressure from France to clarify Britain’s position. The cabinet meets, but the anti-interventionists are still too strong for Grey, Churchill and Asquith to adopt a forceful international position. Still, the cabinet does not definitively adopt a position against intervention either, which prevents Grey’s resignation and the possible collapse of the government. The cabinet does agree that Grey should ask France and Germany whether they will be respecting the neutrality of Belgium. Churchill, meanwhile, issues orders to seize the two battleships being built in Britain for the Turkish navy. He is probably not acting in response to Russia’s request to deny these ships to Turkey. He just wants them for the British navy. The Austro-Hungarian leadership is confused by conflicting messages from Berlin on whether to order general mobilisation or not. Bethmann Hollweg seems to be saying to proceed just with partial mobilisation against Serbia and to give diplomacy a chance while Moltke is urging general mobilisation against both Serbia and Russia. Conrad is the Austro-Hungarian most keen on general mobilisation. At a council of war attended by Franz Josef, Berchtold and Tisza he carries the day. Austria-Hungary will proceed to general mobilisation. But in true Austro-Hungarian style, general mobilisation will not begin until the 4th of August. And the question of whether mobilisation is being made against Serbia and Russia or just Serbia is left undecided for now. The stock markets of Europe suddenly register that the continent is on the brink of a war of unimaginable destructiveness. Panic selling breaks out everywhere, leading to the closure of the continent’s stock exchanges and bourses. Even London’s stock exchange suspends business, its first complete closure since 1773. Queues form at the Bank of England as people seek to convert bank notes to gold. Yesterday the Tsar ordered general mobilisation and then cancelled the order shortly afterwards. Today he is trying to hold firm to not mobilising, refusing even to talk to people he thinks might try and cajole him into changing his mind again. But he agrees to meet Sazonov in the afternoon, for a briefing on the general situation from his foreign minister. When they meet, Sazonov impresses on his master that Germany is clearly angling for war. Russia’s mobilisation would be a sensible precaution, not something that would provoke further escalation. The Tsar is torn, not wanting to set in train events that will lead to armageddon. Yet finally he gives in and authorises the general mobilisation of Russia’s army against both Austria-Hungary and Germany. It is agreed that mobilisation will be kept secret for as long as possible, to give Russia as much of a head start on its enemies as possible. The French ambassador is informed. He wires home the news. This is important, because under the terms of the Russo-French alliance, the two countries are to launch joint invasions of Germany on the 15th day after mobilisation begins. Sazonov himself wires Benckendorff, his ambassador in London. He is to make urgent representations to the British regarding two battleships being built there for Turkey. Their transfer to the Turks must be stopped, as this would drastically alter the naval balance of power in the Black Sea. Bethmann Hollweg telegrams Tschirschky in Vienna. The Austro-Hungarians are to be encouraged to accept Britain’s four-power mediation proposal. 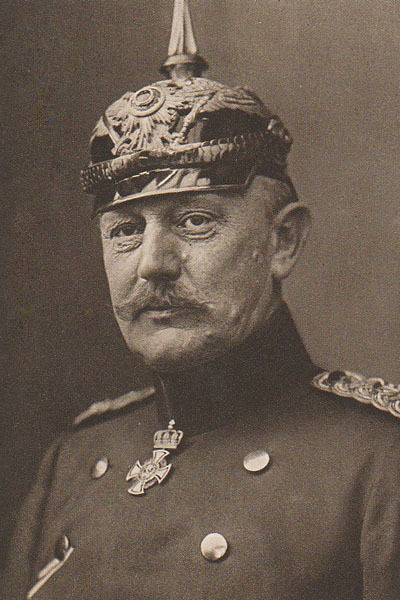 But Moltke, chief of staff of the German army, is increasingly concerned by reports of Russian military preparations. He tries to get Bethmann Hollweg to agree to ask the Kaiser to declare Kriegsgefahrzustand, a formal declaration of an imminent danger of war that serves as a prelude to mobilisation. But the chancellor declines, as he is still trying to pursue a diplomatic solution.